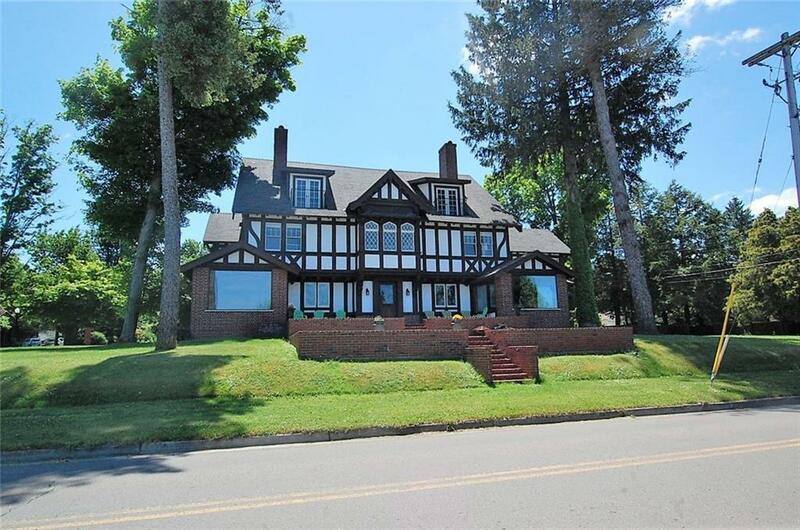 Classic 1905 Beck & Tinkham Mansion, in the Village of Lakewood overlooking Chautauqua Lake. As you enter from the foyer, you come into a large living room with beamed ceilings and 2 fireplaces. The living room leads to the open split staircase with 35' ceilings. At the top of the stairs are large bay windows, with decorative glass. Commercial grade kitchen and large dining room. 7 bedrooms, 5.2 baths. Master suite on the first floor with large sitting room, and marble finished bath. Fireplaces throughout, and beautiful lake views. Potential to finish the third floor as additional living space, has 2 french doors to 2 balconies overlooking Chautauqua Lake. Home is being sold as is, with all furniture and the dock on the lake rights property. See attached document with floor plans.